Beginners in forex have peculiar needs. It takes approximately 18 months of consistent coaching, mentoring and practice to be able to cross from the realm of being a beginner to the realm of being an intermediate-level trader. This fact was put across by the CEO of a UK-based proprietary trading firm. The question is: what does the beginner do for the 18 months that it will probably take to make that transition? A lot of practice on demo and live accounts as well as a lot of study of all kinds of materials that range from the actual trading process, to trader psychology will have to be done. Notice that we have mentioned the fact that a lot of trading will have to be done, both on demo and on a live account. So traders will have to understand the kind of platforms that they will need to use in order to get a lot of learning from those platforms. This article describes the forex trading platforms that beginners will need to use to take their skills to the next level. Almost every retail forex brokerage offers the MT4 platform. If you are going into warfare, common sense reasoning dictates that you practice with the same weapon which you will have to use on the warfront, as no one goes into battle with an unproven rifle (or unproven skills for that matter). So if you are going to start off trading any real money, you simply have to start your learning journey with the MT4 platform. The MT4 charts make for very easy reading and it does not take much to master how to use the various tools and graphical objects on the platform. The terminal window is loaded with tabs that are pure assets: a news bar for news trading as well as the Markets, Code Base and Signals tabs for accessing resources on the MQL4 Community. The MT4 comes as a browser-based version known as the Webtrader. You can also download the MT4 as a generic mobile app on the Google Play store and App Store for iOS-based devices. 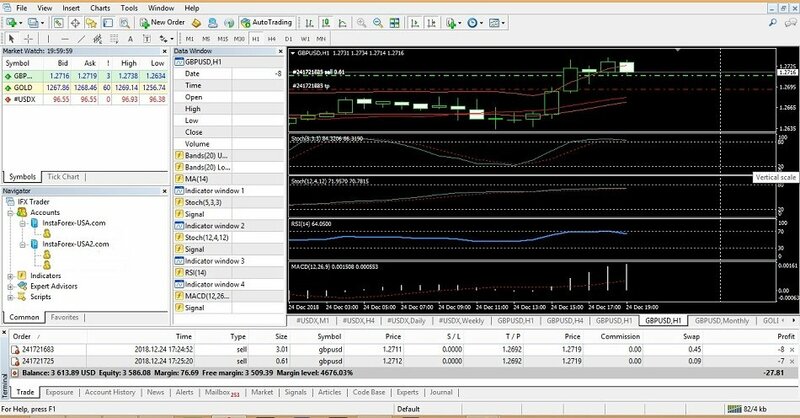 So for any beginner in forex, the MT4 is the 1st trading platform that you must acquaint yourself with. The MT5 is the next level platform in the MetaTrader platform series. While it retains many features of the MT4, there are some enhancements and outright changes that have been included. There is still a lot of confusion as to what Metaquotes really wants to do with the MT4 and MT5. Initially launched as a replacement for the MT4, the MT5 has found it hard to achieve the kind of market penetration that the MT4 got. So Metaquotes seems just content with allowing retail brokers run along with both platforms. Some forex brokers have tried to push the usage of the MT5 by only allowing certain trading assets on the MT5. So it is not surprising that you will see some brokers offering only stock CFDs or cryptocurrencies on the MT5 platforms they offer. So once a beginner is through with the MT4, the next best platform to master would be the MT5. The similarities between both platforms will enable easier mastery of the MT5. Just like the MT4, the MT5 has a web-based version and also comes as a generic mobile app which can be downloaded from the Android and Google Play stores. This platform from Spotware Systems is a trading platform that introduces beginners to ECN trading conditions. It goes hand-in-hand with the cAlgo, which is the platform used to build algorithms used on the cTrader. The cTrader enables the trader to make multiple exits on a forex position, and also allows the viewing of the market depth on a broker’s order books. The beginner can also perform deposit and withdrawal transactions within the platform interface. The cTrader has a desktop and web-based version. The web-based version loads quite easily, and also has a new feature introduced into the latest version: the “cTrader Copy”. This is the social trading product of cTrader, and allows the beginner to copy the trades of successful traders from within the cTrader platform itself! This is a stunning innovation and has taken the concept of social trading to another level. Even though the interface of the cTrader is a bit more difficult to get around than the MT4, the beginner can easily rearrange the interface to create a customized workspace setting. Also read: MetaTrader vs cTrader; Which is Best Forex Trading Platform in 2019 ? There is no way we can conclude a discussion on the best forex trading platforms for beginners without mentioning a social trading platform. eToro’s social trading platform happens to be the one best suited for beginners. Its simplicity, ease of use, light nature (it is web-based) and provision of Leader selection metrics that are easy to use, makes this the go-to social trading platform for beginners. Beginners can select assets to make up a watchlist, and they also get access to a well-arranged format of selection of Leaders whose trades can be copied. Of particular importance is the Risk Score, which is probably the most important metric that should be considered by beginners when selecting a Leader. 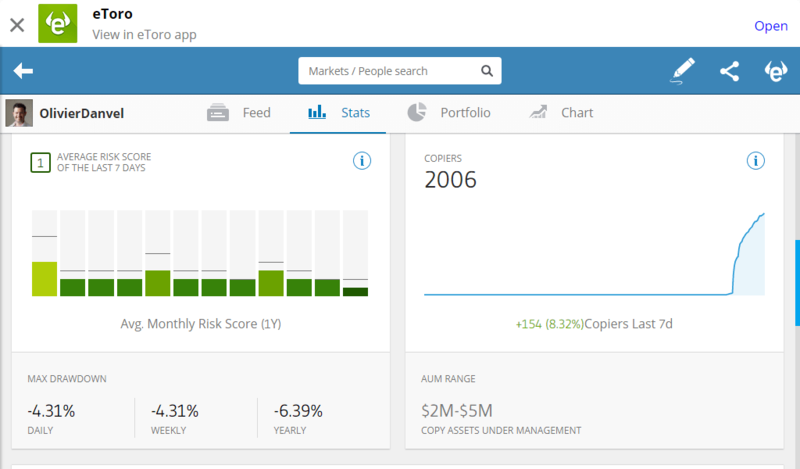 The Risk Scoring system of eToro is one of the best out there. It shows in clear figures and in graphical form, how conservative or how risky a Leader’s traders are. For beginners who want to start profiting from forex even as they continue to study the market, eToro’s social trading platform affords them such an opportunity. The four platforms discussed above are the best forex trading platforms for beginners, and were compiled as a result of the writer’s 14-year experience in the forex market.